The Best Things in Life...: Cruise! Conquer! Crunch! Dance! WIN! Cruise! Conquer! Crunch! Dance! WIN! A week of freebies that almost became perfectly alliterate but I couldn't think of a suitable synonym for dance. But did you notice that important word in capitals? 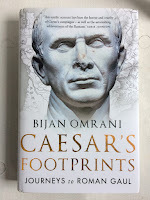 Yes, you can WIN the copy of Caesar's footprints that I received from Goodreads. It's hardback, dust-jacketed and retails for £20. It could be yours by entering via the widget at the end. Until then read about all 4 freebies I enjoyed this week, total value should have been about £35. Gingerella (RockaFela) at HOME, Manchester. Freebies have taken me places I would never have gone if I was paying. I've been to HOME before but an arty improvised film about improvisation? That's a new one for me and a chance to expand my cultural horizons. Written and directed by Alex Reuben the film is an exploration of "the meaning of dance and synchronisation" resulting from a collaboration with leading neuroscientist Prof, Chris Frith. Reuben took 10 years to make the film which stitches together scenes from vsarious locations with Eleanor Sikorski the dancer who literally improvises her role in each scene. At the heart of the film are 13 interpretations of the Cinderella story. I know this because I read it on the HOME website because, to be honest, I hadn't got a clue what was going on. It was the weird arty film I expected and I thoroughly enjoyed it, not because I was moved by the yadda yadda but because I work in an uncreative profession so seeing the results of so much inner creativity being appreciated by similar types was a night out in itself. As a bonus Reuben was at this showing and sat for a Q&A session after, expertly hosted by a director of HOME. This session showed the real desire to translate something into art and the trials of producing something like this which will never be a commercial venture. Tip for the audience though - asking a question doesn't need to be that long. Once you've reached the bit with the question mark stop and let the chap answer it, don't carry on into the next sentence and answer it yourself. It's not about you! I'm becoming a fan of HOME, a marvellous venue. 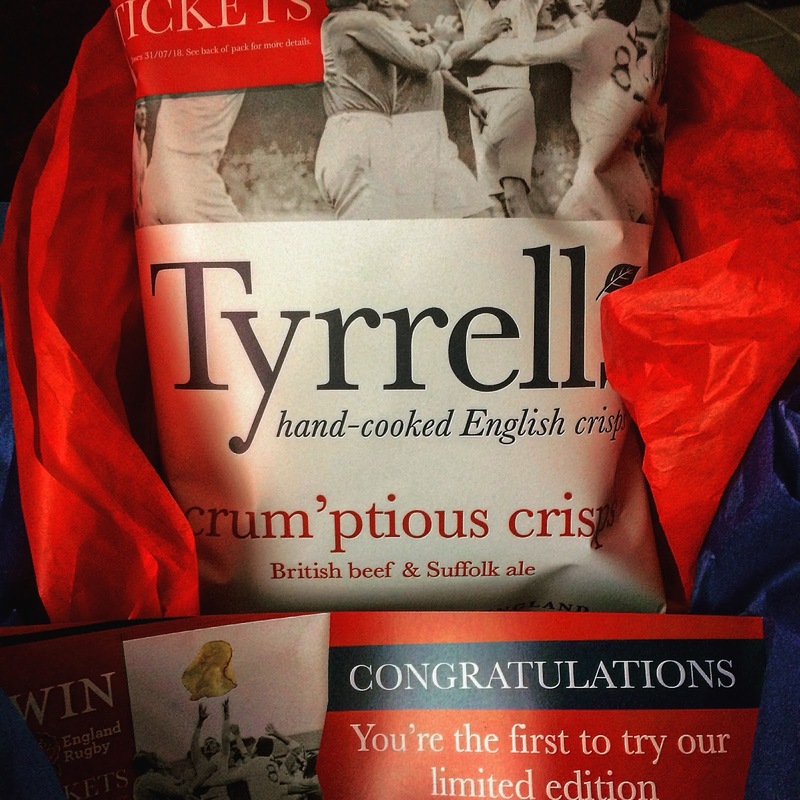 foodstuff for the rest of eternity then I hope I am shipwrecked alongside a container full of crisps. 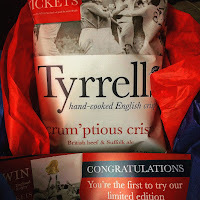 Hand cooked crisps like these have that extra crunch and these hold a lovely meaty flavour. There's real beef in them, vegetarian readers. themselves for this free sample. I do enter a lot of competitions for holidays and have yet to post my first holiday blog. The magazine is glossy and full of beautiful pictures. 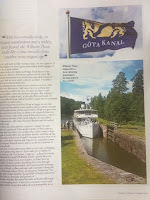 The articles are surprisingly interesting too - there's more to cruising than just big luxury liners. 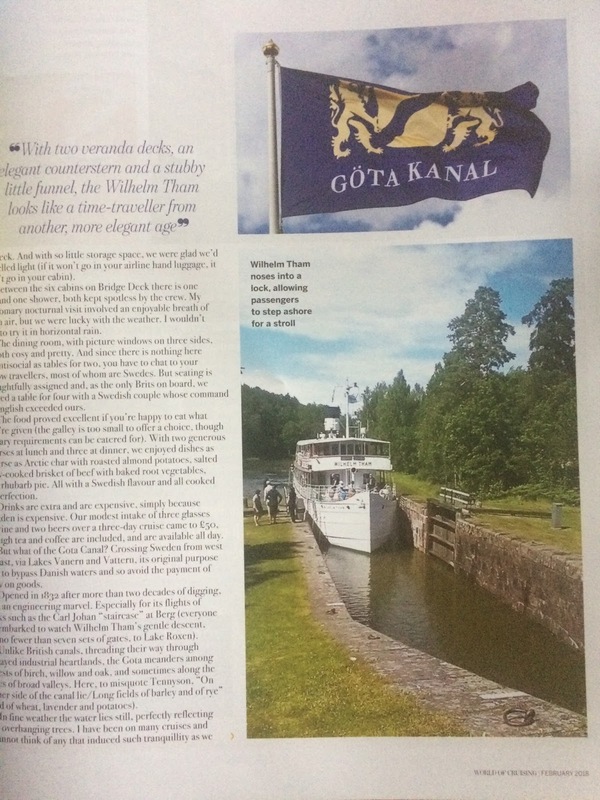 This magazine also has articles on 12 room cruisers plying their trade in Scandinavia, river cruises and of course those huge cities of the sea. You'd need to be a cruising fanatic to want to subscribe to this and at just under a fiver it's a big ask as a one off. For me, it was a pleasant hour dreaming of a win that might be, or a time when I can actually afford to pay for one! The review below is from my Goodreads profile. Thanks again for yet another Goodreads win. I've stopped entering giveaways for a while as I really need to catch up on a few wins. Fancy this expensive work of history? Enter the competition below. Roman culture was well established around the Mediterranean before Caesar set his sites on further conquest. This book describes how Caesar conquered Gaul with cruelty, military skill and a little diplomacy. 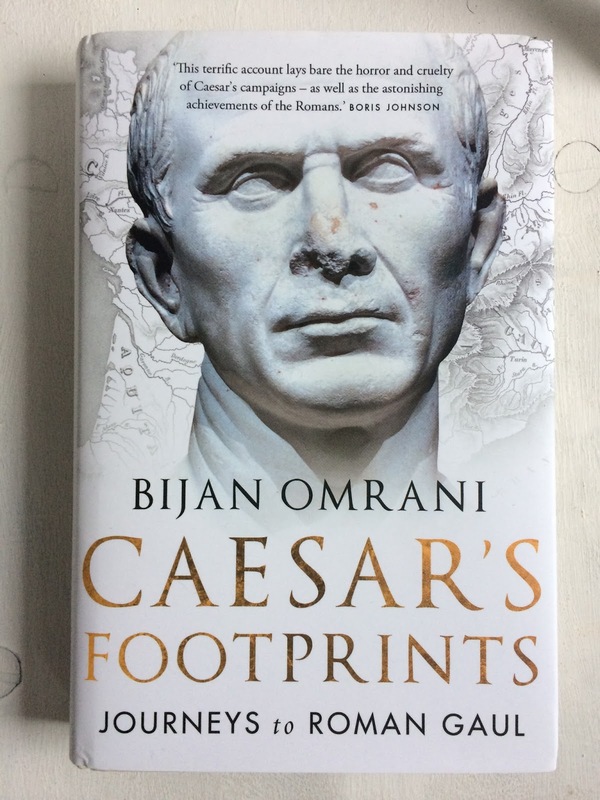 Bijan Omrani is a historian and classicist with several books to his name and a fine learning pedigree. Such a clever chap is obviously going to produce a well researched and scholarly work and at the outset I found myself wondering about 2 points - would it be dry or readable; would I find myself engaged in the history of a place I have never been (I'm thinking of the southern parts of France, not the North which I have visited many times) where I find it easier to identify with British history? The answer to both questions was positive. It IS readable and not overly wordy, but does not patronise with everyman language. This is a reference work that can be read from cover to cover as I did. Roman history does impact on britain too, of course. We have our own Roman ruins and a chapter of the book is given to the Roman conquest of Britain. Of course the biggest reason we Brits should understand about the Roman conquering of Gaul is that it led to a change in our own history and the history of Europe as a whole. It moved Roman influence away from the Mediterranean and towards Northern Europe - a legacy which remains with the latin based language of French and the eventual passage of Christianity into the region. Caesar's rising through the political system is like a mini-series or soap opera. His ambition and actions are scary and parallels can be drawn with every age though history including the present. Someone with ambition can get to a powerful position and abuse that power most cruelly, however scary that sounds. Early in his career Caesar is captured by pirates and held to ransom. When he reasons the sum being asked he is incensed and insists that the sum is higher. He also promises to return and crucify his captors - which is exactly what happened when the ransom was paid and he was released. Money wasn't as important as power to Caesar. The average annual salary of a soldier was 900 sesterces; Caesar's debts ran to 31 million sesterces. From the conquest the book moves everyday life in Gaul and how Roman culture was assimilated into Gaulish life. Many high born Gauls were keen to adopt the Roman way as it was more luxurious than the harsh tribal ways they were used to. It is much easier to retain an empire when the natives are shown a better way of life and can receive protection from raiders of other Northern tribes. Throughout the book the author intersperses the narrative with snapshots of the sites in modern times. He gives us a first person, present tense stroll through ancient sites and modern towns. These moments are the highlight of the book for me, to not just read about history but to also understand it is still all around us. Omrani's enthusiastic research is infectious. Further interest is gained in the description of life under the Romans and how Gaulish religion was absorbed into Roman. Gaulish gods were worshiped alongside the Roman gods as equals and rituals retained. this continued into the Christianity era as the Roman Empire started to adopt the new faith. Pagan rituals were retained in the guise of Christianity and the timing of certain festivals could be fluid so that the old and new worlds could merge - much as happened in Britain. Caesar used bloodshed to conquer Gaul but later leaders showed the benefits of membership of the Roman Empire by increasing trade, protecting Gaul from other invaders and building large towns and civic buildings. High born Gaulish leaders embraced this and Roman and Gaulish influence came together in the beginnings of modern France. An interesting read. I wasn't hooked by any means and what I have learned has filled a small gap that I may or may not return to, but I'm grateful I had the chance to enjoy it thanks to the Goodreads giveaway.